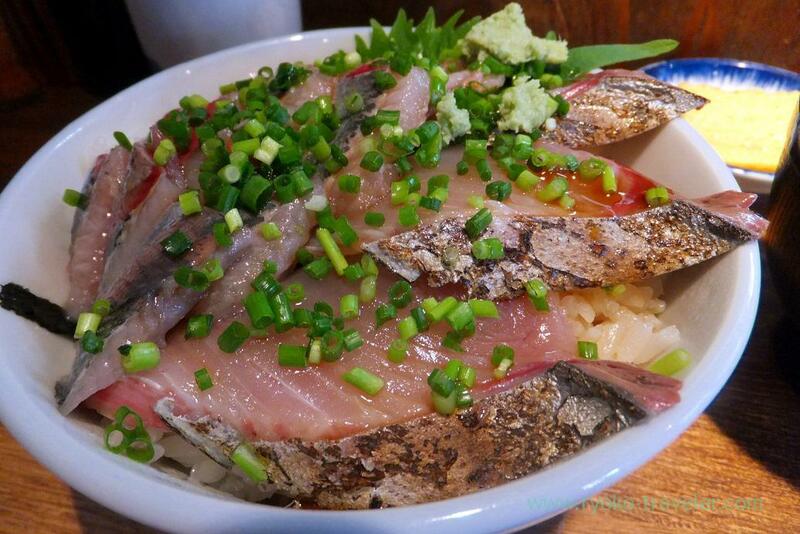 I felt like eating sashimi bowl the other day and went to Hajime Sengyo-ten during lunchtime. 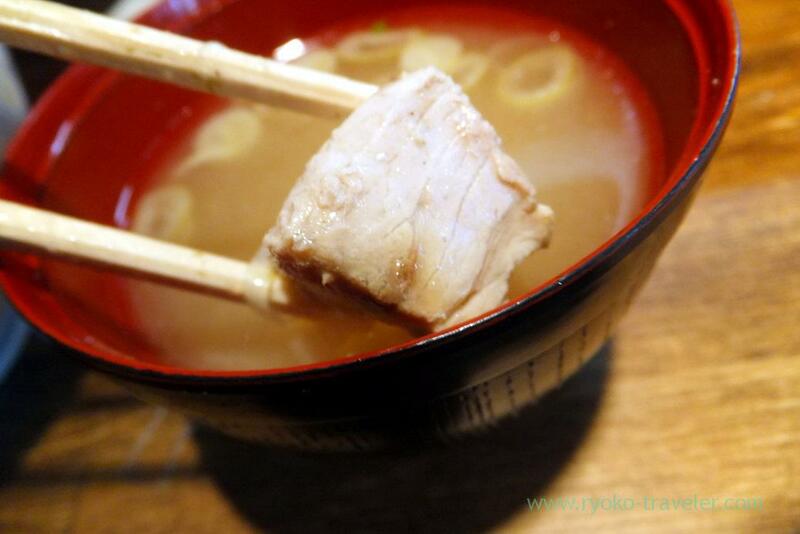 Hajime Sengyo-ten is stand-up-eating izakaya and serve sashimi bowl at lunchtime. 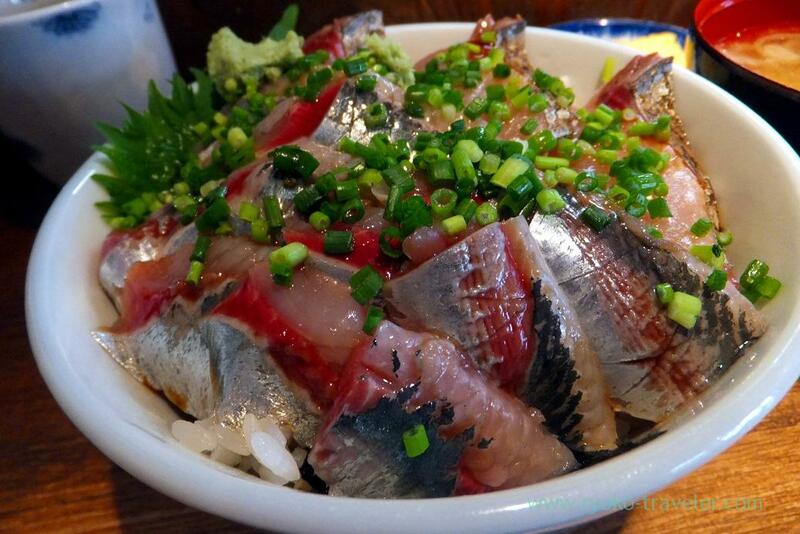 Recently they serve sashimi bowl that can be chosen two from some species of seafood so frequently. Its skin was grilled lightly and it was still warm a bit. So fatty and tasty. 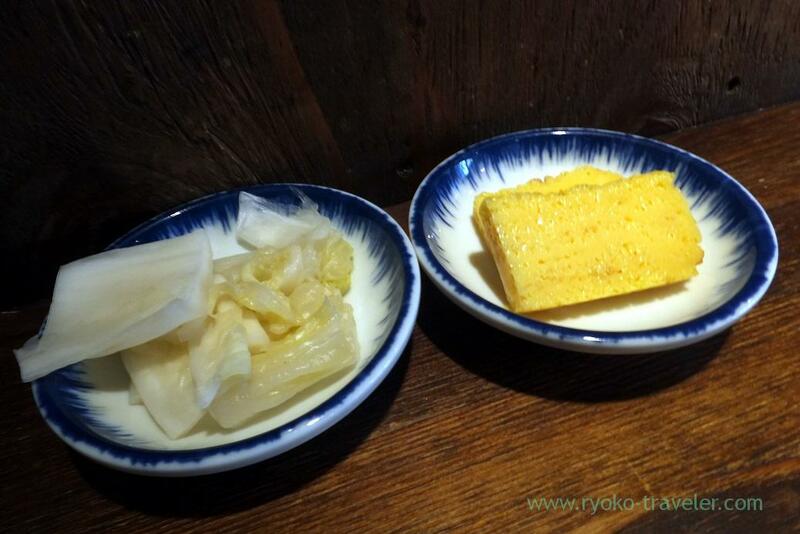 Pickled Chinese cabbage and tamagoyaki was good, too. 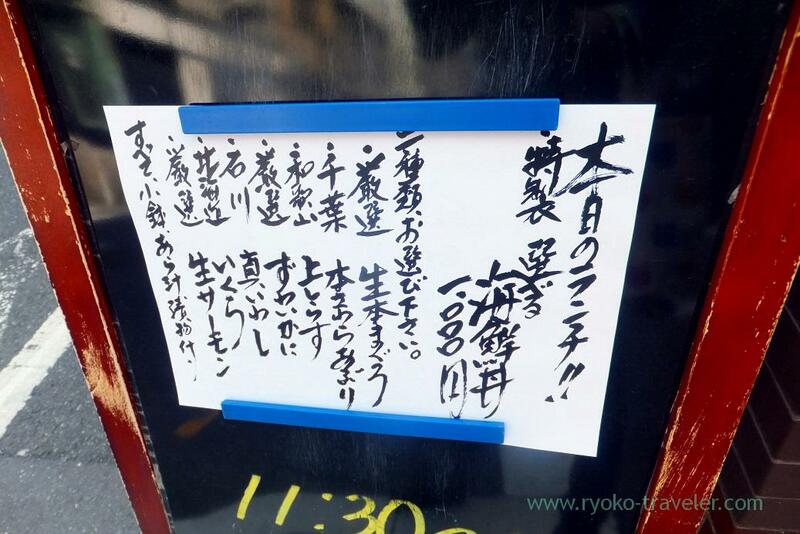 Amami 2015 (7/9) : Gelato shop "La Fonte"